We use our Bibles daily. We start the day with our Bibles open, we read individually before we start our day, then we study a small section for a family devotion. Right now we are working through Hebrews – a few verses a day. In the past we have walked through Romans and James. In the past we have used the Bible for copywork daily too, we have copied verses we have been trying to learn or memorize, and even copied Bible Drill verses. I like to use the Bible for copy work because it has different vocabulary, because there are no grammar errors I need to watch for, and because it continues to pour that truth into their hearts!! 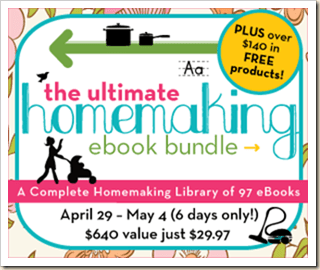 I am excited to get my hands on these E-workbooks for next year though (as a part of the Ultimate Homemaking EBook Bundle)! 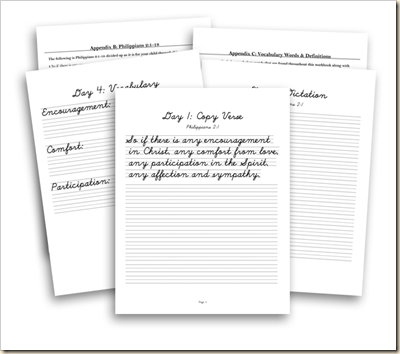 In the past I have either written out the Bible Copy work, or I have typed it up weekly or daily. 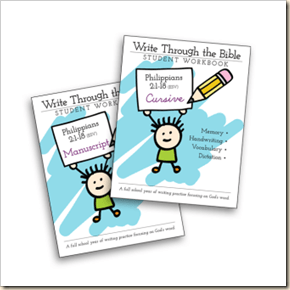 Next year, I am going to use these workbooks for both the younger two and the older two! I like that I can use the print workbooks for my younger two and the cursive one for the older ones!! <img src="http://lh4.ggpht.com/-BILLC2UqnkA/UXq5UM7NvsI/AAAAAAAAIxI/_txXmyk00Vg/video13ad702f1a5f%25255B15%25255D.jpg?imgmax=800" style="border-style: none" galleryimg="no" onload="var downlevelDiv = document.getElementById('b1d640f7-5907-4f50-b9a9-2703fe22d6ec'); downlevelDiv.innerHTML = "
Each workbook is available in D’Nealian cursive and manuscript fonts. Write Through the Bible is currently available in ESV translation (more translations are coming). 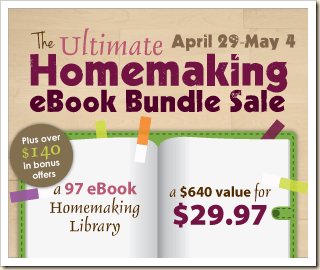 Come back MONDAY to find out more books that will be in this amazing bundle! !